JB SAN ANTONIO-RANDOLPH, Texas — Lt. Gen. Steven Kwast’s first year as head of Air Education and Training Command has seen the launch of an ambitious experiment to train pilots using virtual reality, a sweeping overhaul of enlisted professional military education that scrapped its old distance learning courses, and an all-hands-on-deck effort to root out the cause of a rash of hypoxia-like events that has repeatedly grounded its T-6 training aircraft. 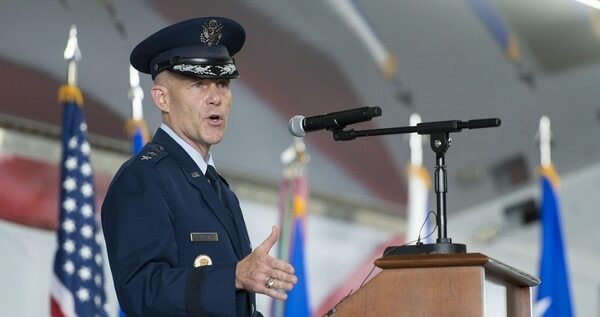 As Kwast approaches his second year, he’s planning to accelerate the rollout of the Air Force’s revised “Continuum of Learning.” He hopes the new system will make it easier for airmen to learn and manage their career development, at their own pace, by giving them on-demand, online access to resources on training, education and experience, on any mobile device. Continuum of Learning will do more than steer airmen to YouTube-like videos on how to change a tire on an F-35 — though those kinds of tutorials will be part of it. It will put airmen in touch with instructors and fellow airmen in their community — such as maintainers working on the same aircraft — to help them brainstorm solutions to on-the-job problems. It can help airmen steer their own development, away from a “linear” system where training schedules and requirements are dictated to airmen, by letting them learn as fast or as slow as they need, Kwast said. That could mean that a “bona fide genius” who has an innate grasp of many subjects required for his job could skip what he already knows, and dive right into what he needs to learn to reach the next level. In this way, the Air Force hopes to create a culture of life-long learning. But, while already-gifted airmen are skipping ahead to educational programs that truly challenge them, they’re not skipping the “inculturation” process by which they learn to be an airman and warriors. It will also have a series of downloadable apps, including apps tailor-made for different bases that can tell airmen about everything from social events for teens to gate closures to emergencies such as an active shooter, Kwast said. The beta test for Continuum of Learning’s online “ecosystem” began in May, Kwast said. For several months, testers tried to wring it out, break and find out what its limits are. The system could reach a new stage this fall when it folds in those lessons learned. The Air Force reached a milestone Aug. 3 when it graduated the first 13 students from its Pilot Training Next program, a cutting-edge combination of virtual reality, artificial intelligence and biometric tracking. Those students pinned on their wings in four months, far less than the full year a traditional undergraduate pilot training program takes. Kwast said the second Pilot Training Next class will begin in January 2019. When they’re finished, Air Force Secretary Heather Wilson and Chief of Staff Gen. Dave Goldfein will review the data from the two classes and decide whether this kind of a training model could be used throughout the Air Force. Kwast also said that after intensive reviews of the “unexplained physiological events,” such as hypoxia, that caused dangerous breathing problems for multiple T-6 Texan II pilots and led to multiple groundings, the Air Force is finding more clues and coming closer to solving the problem once and for all. For example, the safety investigation board at Edwards Air Force Base in California discovered that the proportion of oxygen in the air sometimes fluctuates more than intended while T-6s are flying. Kwast stressed that isn’t the only issue the board discovered, and that it is not clear that the fluctuation is actually causing or contributing to the problems. It could also be a combination of factors working together. But, Kwast said, it’s likely the root cause will be announced within the next few months.